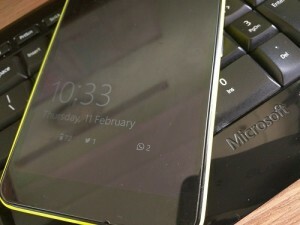 Glance screen is a unique feature similar to ambient display features in Nexus and Motorola phones on Android and is has been available for a many of the Nokia Lumia phones like lumia 1020, 830, 1520 etc and Microsoft Lumia phones like 640 XL, 950 XL etc. 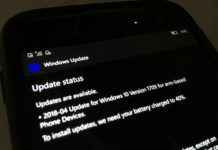 Nokia introduced this to Lumia phones running Windows Phone 8/8.1. 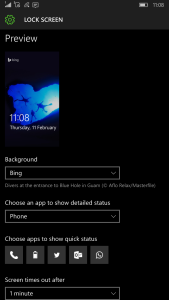 Glance sets your Lumia to display many information on its screen and the good thing is that when you leave your phone on stand by it will show you things in the way you configured it. Using the proximity sensor it will show you information with your phone movement without wasting any significant battery power and that too is better when your phone has AMOLED display like Lumia 1020, as the screen is not using any backlight to display this information. 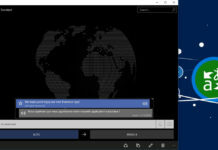 Where to Find Glance Screen ? 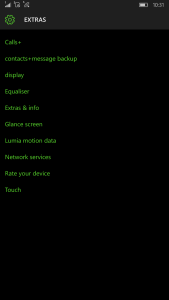 Before that you need to check whether your phone supports glance screen or not. Go to settings and search “Glance”, or you can go to “Settings > Extras” directly. 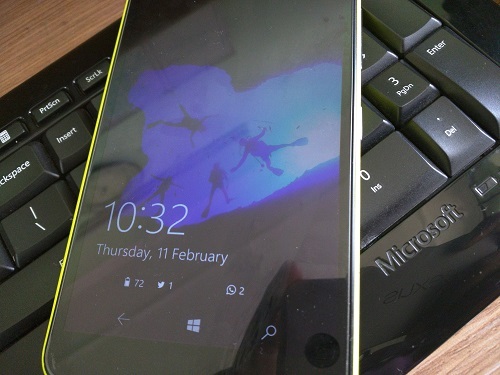 If you found any option like ‘Glance Screen’ then your lumia phone supports glance feature. Like you can see below. off : disables Glance Screen. 30 seconds : will keep Glance Screen turned on for about 30 seconds. Your smartphone will display information on your screen when it detects movement using the proximity sensor. For example, when you hover your hand over the smartphone or when you take smartphone out of pocket or bag. 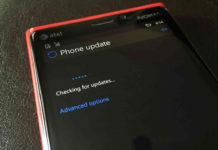 15 minutes : Glance Screen will be kept on for about 15 minutes after locking the phone. always on : your smartphone will always show the Glance Screen, whenever it is in standby mode. You need to go to lock screen setting to add more information you want to display. There can be situation when you want glance feature to have some exceptions ??? Here we have some options for you. The first option – “Always show glance screen when charging” – its self explanatory: if you connect your phone in a charger, you can set Glance Screen to always on. Keep in mind that you get this exception when you didn’t already set Glance Screen to be “always on” . whether it will use a red, green or blue color. 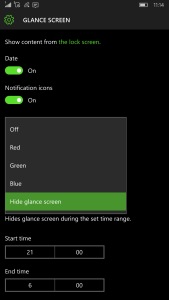 The final option here is to “hide glance screen”, which obviously will disable Glance Screen at night. See the image below. You can set the start time and the end time during which you want to choose the exceptions to remain valid. 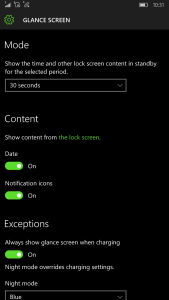 That’s a quick tip in which you can use the glance screen feature. Let me know in comments how you use your glance screen feature.